Mark your calendars for Lassen Municipal Utility District’s big annual Customer Appreciation Celebration coming up on September 7th at the utility’s office on South Roop Street. LMUD’s staff, management and board members will all be there cooking up those complimentary deluxe quarter-pound, hot dogs, cold drinks, chips and cookies. 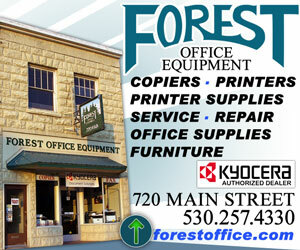 Lunch will be served right off the grill from 11:30a.m. to 1:00p.m. While you are getting lunch make sure you pick up a free LMUD night lights, canvas tote-bags and other cool stuff. 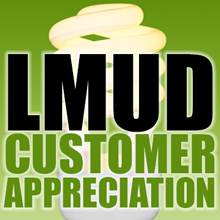 LMUD customers can also enter to win one of three $100 energy gift cards – redeemable toward your LMUD utility bill! “LMUD is proud to serve our friends, neighbors and family with reliable, affordable electricity,” said Energy Services Manager Theresa Phillips.